This activity is provided by Haymarket Medical Education for physician credit. This activity is provided by Global Education Group for pharmacy contact hours. Up to 50% of people with chronic obstructive pulmonary disease (COPD) are not aware that they have it, and the diagnosis may not be uncovered until the patient has been hospitalized or suffers a significant impairment in the ability to pursue the typical activities of everyday living. Therefore, primary care providers, pharmacists, and respiratory specialists should work collaboratively on early recognition of COPD symptoms and on managing the disease appropriately in a way that helps to prevent exacerbations and preserve lung function and quality of life as much as possible. Equally important are strategies to coordinate multiple aspects of care across various settings and to develop better approaches to educating patients about the disease and its management. Dr. Donohue has no relevant financial relationships to disclose. Dr. Kanel has no relevant financial relationships to disclose. Angie Ladas, Lori Marrese, and Nick Zittell of Haymarket Medical Education have no relevant financial relationships to disclose. Lindsay Borvansky, Andrea Funk, Karen Kaufman, and Liddy Knight of Global Education Group have no relevant financial relationships to disclose. Haymarket Medical Education designates this enduring material for a maximum of 0.50 AMA PRA Category 1 CreditTM . Physicians should claim only the credit commensurate with the extent of their participation in the activity. Global Education Group designates this continuing education activity for 0.50 contact hours (0.05 CEUs) of the Accreditation Council for Pharmacy Education. Universal Program Number: 0530-9999-18-091-H01-P. This CME activity may or may not discuss investigational, unapproved, or off-label use of drugs. Participants are advised to consult prescribing information for any products discussed. The information provided in this CME activity is for continuing medical education purposes only and is not meant to substitute for the independent medical judgment of a physician relative to diagnostic and treatment options for a specific patient's medical condition. The opinions expressed in the educational activity are those of the faculty and do not necessarily represent the views of Haymarket Medical Education, Global Education Group, or Boehringer Ingelheim. Please refer to the official prescribing information for each product for discussion of approved indications, contraindications, and warnings. If you have any questions relating to the CME accreditation of this activity, please contact please contact HME at cmequestions@haymarketmedical.com. 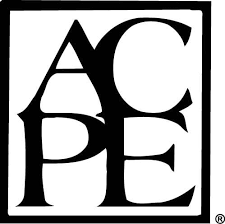 For information about the ACPE accreditation of this program, please contact Global at 303-395-1782 or cme@globaleducationgroup.com. Global protects the privacy of personal and other information regarding participants, educational partners, and joint sponsors. Global and our joint sponsors will not release personally identifiable information to a third party without the customer’s consent, except such information as is required for reporting purposes to the appropriate accrediting agency.